Please take the time to read this entire message. Your race may be negatively impacted by failure to read everything below. In 25 years, the race has grown to epic proportions and things change but the challenges and rewards of this great race remain the same. Have a safe run everyone! RACE DAY is Saturday, August 27. · Exit Las Virgenes Road - go south. · Continue approximately 3 miles, past Mulholland Drive. · Turn right into Malibu Creek State Park. · If you hit Piuma Rd., youve gone too far. · Go North on Malibu Canyon (directly south of Pepperdine University). · Continue approximately 5 miles, past Piuma Rd (past Tapia Park). · Turn left into Malibu Creek State Park. · If you hit Mulholland Dr., youve gone too far. DRIVING: Observe the speed limit; the CHP knows about this event. TRAFFIC DELAYS are expected on the 101 North between Valley Circle and Las Virgenes Road due to nighttime construction lane closures. Please factor this into your drivetime. We have more runners than parking spaces! CARPOOLING IS AN ABSOLUTE MUST! (Read below for additional info on parking). A good meeting spot for carpooling is the Albertson’s parking lot on Agoura Road at Las Virgenes Road. FYI, the Starbucks located here (2755 Agoura Rd.) opens at 4:30am! WEATHER: Temperatures are forecast to be in the high 70s on race day with no cloud cover. With the high temperatures we have had in recent weeks, most of you should be comfortable on race day. Parking in MCSP is $12/vehicle. Please have exact change in hand when you approach the kiosk. Annual parking passes are not allowed for special events. Please do not enter the park before your designated time. · If you arrive before your designated time, please park outside on one of the corners. · Please remember to display your parking placard visibly on your dashboard. · Please follow the Parking Volunteers’ instructions to avoid parking citations. FREE PARKING OUTSIDE MCSP: ALWAYS CHECK POSTED “NO PARKING” SIGNAGE. · On the north side of Las Virgenes Road (this is before Mulholland Hwy when you are driving from the 101). Look for the large sign that says SANTA MONICA MOUNTAINS RECREATION AREA. If coming from the 101, sign will be on your RIGHT just before you come to the traffic light at Mulholland Hwy. Turn into the large parking area and PARK HEAD IN; there is enough room here for a couple of rows of vehicles; about 40 total. · There is limited parking on two corners of Las Virgenes and Mulholland. NOTE: The NW corner of Las Virgenes/Mulholland is newly posted NO PARKING. · There is some curbside parking on Mulholland just north of Las Virgenes. · Please bring proof of registration for bib pickup. · You may not pick up bibs for other runners. · If you pick up a bib, you are expected to run! Please tell the timer if you do not start the race; we need to be able to account for all runners on the race course. · Please wear your bib on your shirt front or shorts front; DO NOT FOLD your bib; we need to tear the pull tag at the finish line. · Please do not remove the pull tab from your race bib. 50K start 6:30 AM -- (9-hour time limit for 50K) No early starts: Course closes at 3:30PM. 25K start 7:30 AM -- (8-hour time limit for 25K) No early starts: Course closes at 3:30 PM. There will be a Race Briefing before each start. Please be prepared to head to the start line approximately 15-minutes before start time. Please Note there is a new start/finish route; please pay attention to the briefing! · All runners at Bulldog are “solo” runners. We will have a “zero tolerance” policy toward crewing and pacing of runners. You may only receive aid from official volunteers at aid stations and you may only use one drop bag at Station 4. · Spectators and Cheering sections will only be allowed on Crags Road at Station 4 in MCSP; spectators may not gather on Park Entrance Road. All spectating must be done from inside the fire gate, from the opposite side of the street from the aid station/drop bag area. Spectators may not enter the aid stations and may not assist the runner in any way. · All runners are required to carry a minimum of 20oz of fluids. · 50K runners are encouraged to carry 40oz, especially if they plan to be on the race course for more than 5-hours. 50K runners have the option to drop down just before Station 4 in MCSP. Drop downs will receive the 25K finisher medal but will not be eligible for awards. · We will be tracking all 50K runners on the second loop. · At Station 4, all 50K runners must have their race bib marked by the Volunteer. · Beginning at Station 4, all 50K runners must call out their bib number as they exit each aid station. MUSIC: We have a one-bud rule per RRCA requirements; please remove ear buds for the pre race briefing. RACE DROPS: If you drop from the race, you are responsible to notify the nearest checkpoint captain and you will be driven back to base camp after the station breaks down. When you return to your vehicle at the finish line, please bring your bib tag to the race timers so we can account for your safety. Runners who fail to compy with this rule will assume all financial responsibility for search and rescue expenses. 50K DROP BAGS are permitted at Station 4 only. No boxes or coolers please. Please label your bag with your bib # and bring it to the drop bag vehicle by the Pensketruck. Drop bags will be returned to the finish line at approximately 11:30am. Unclaimed drop bags will be trashed or donated. RACE SHIRTS: Runners who signed up on or before July 20 must pick up their race shirt before the start of the race. Runners who signed up after July 20 will pick uptheir shirts after they finish the race. There will probably be a good choice of sizes left from the "no shows". How To Be Heat Ready For Bulldog on August 27! In 2011, a situation was created that led to a very high rate of problems with some Bulldoggers not being able to handle the heat. The weeks and days leading up to race day were unseasonably cool with "June gloom" overcast skies that didnt burn off until much into the afternoon. This means that the majority of runners were not sufficiently exposed to heat during their training runs, especially those who started and ended their training runs before noon. Running in the heat of the summer is necessary to prepare for a hot race at Bulldog in August. The problem in 2011 wasnt so much the temperature on race day; it was the lack of hot weather in the months leading up to race day. Acclimatization: (a-kl m -t -z sh n). n. The physiological adaptation of an animal or plant to changes in climate or environment, such as light or temperature. Heat training (aka heat acclimatization) helps the body adapt to meet the demands of exercising in the heat by increasing cardiac output and plasma volume and prepares the body for processing larger amounts of liquid that are required to cool the body in hot weather. Heat acclimatization helps you sweat sooner and in greater quantities with improved cooling effect which helps lower working heart rate and core temperature. Heat training helps your body to learn to process larger volumes of fluid which are needed to keep your internal temp cool. Heat acclimatization helps your sweat become more dilute and spares electrolytes, minimize the salt stain effect that we see so often; therefore heat trained athletes experience lower incidence of cramping during running. Start your heat training about 3-4 weeks before the race. Approximately two to three weeks of diligent heat training is desirable to prepare for hot summer ultras but any amount of heat training is certainly better than none. When you first start heat training, your sweat will taste salty and will burn your eyes but as your body becomes more efficient at sparing electrolytes, your sweat will taste more dilute. Stop using the AC in your home and automobile; just open your windows and get used to the heat! Run in the hottest part of the day! People who finish their long training runs before noon to not generally tolerate hot climates on race day! Start your training runs later in the morning or in the early afternoon so that you are training your body to tolerate the heat. You might need to run a little slower but the benefits of heat training will win out on race day. When you can not run in the heat, wear layers of clothing during your runs to inhibit cooling. Try some hot yoga or Bikram Yoga. Passive sauna training; sit in a dry sauna to increase heat tolerance. You do not need to get BADWATER CRAZY here; just 15-30 minutes of the sauna exposure a few times each week will help tremendously. If you are in training mode with good training mileage, there is no need to exercise in the sauna; just grab a book or your ipod and relax but be sure to freeze some hypo-tonic (with electrolytes) fluids to drink while sauna-ing. As you become more heat ready, you will notice that you feel a little chilled while others around you do not; a good sign. Your sweat will taste watery and you will produce sweat sooner and in greater quantity. Stop your heat training approximately one-week before your scheduled event to allow your body complete recovery from the depleting effects of heat training. Consume electrolyte drinks during heat training sessions. Be sure to keep your hydration up. 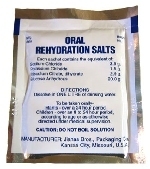 Add electrolyte replacement tabs as needed to your heat routine. Avoid anti-inflamatories. NSAIDS and even Tylenol can actually negatively affect your kidney function which increase your chances of suffering from hypo-natremia and rhabdomylosis; two emergency complications you want to avoid on race day. Hydrate properly during heat sessions but be careful of over-hydration. Weigh yourself before and after each heat session to calculate your fluid needs (see link below). SLOW DOWN THEIR PACE TO KEEP YOUR INTERNAL TEMPERTURE LOWER. Warning to all who park at trailheads, lock your vehicles and do not leave anything in plain sight. Put bags, etc. in your locked trunk. Smash & Dash burglars look for anything they can grab quickly if they smash your window. They dont spend time looking through the vehicle, thus the name Smash & Dash. * Read all the information on the web page, especially the TRAIL GUIDELINES and FAQs. * It is always a good idea to check the Trail Run Events Blog on the night before each run in case there has been a last minute change of location or even run cancellation. * This run will be held "rain or shine". * Please remember that this is a volunteer group and it is "free" to run with the group. That said, there are rules and recommendations as posted on the ULs website. The course arrows are made by volunteers who are not responsible to babysit you during the runs. You are running entirely at your own risk and if you arent willing to accept this risk, you are also free to leave the group. MEET, GREET, GROUP PHOTO: 6:30 AM. We will leave for the park at 6:45 AM. ~Exit the 101 at Las Virgenes Rd. ~Note: Can also be reached from PCH. ~ Park on the NW side of Las Virgenes Road (this is before Mulholland Hwy when you are driving from the 101). ~ If coming from the 101, the sign will be on your RIGHT just before you come to the traffic light at Mulholland Hwy. ~ Turn into the large parking area and PARK HEAD IN to save space for others. RUNNING DISTANCE: A Single loop is approximately 16-miles. Water is only available at the toilet when you come down into Tapia Park west (mile 14) . Look for the concrete block toilet on your right when you come down the trail. ~ ARROWS: Trails will be marked with minimal flour arrows. You will follow the same arrows out and back. There is no guarantee that you wont get lost. Hikers may erase the marks; other running clubs mark their own arrows also; fatigue may cause you to miss an arrow. Pay attention to landmarks to avoid getting lost or better yet, carry your own bottle of flour and make your own arrows (seriously)! Remember, if you want to follow our arrows, you should stay behind the arrow marker. ~That you are running at your own risk. ~That you are trained for and in shape for 5-hours of very hilly miles. ~That you will carry enough fluid, calories and electroloytes to sustain you through 16 very hilly miles. ~That you are fully prepared to run in the heat. ~That you may encounter poison oak. ~That you may encounter rattlesnakes and/or other wildlife. ~That you will wear hats, visors, bandanas, sleeves, and sun block. ~That you will not wear headphones while running on the course. ~That you will not litter the course. responsible for injury or death to yourself resulting from your training run. ~That you assume responsibility and expense for your own rescue and removal from the course should it be required. This includes, but is not limited to air evacuation. ~Walk west on Las Virgenes Road to the entrance of MCSP. ~Turn RIGHT into MCSP and proceed through the guard kiosk. ~Follow the paved road to the end of the parking lot on your left – mile 0.4. ~Follow the paved road to the fire gate at the entrance to Craggs Road (across from the day use parking lot). Toilets are located in the parking lot on the left. ~Turn RIGHT onto Craggs Road – mile 0.7. ~Follow Craggs Road to the junction – mile 1.5 and continue RIGHT to the top of the hill overlooking Century Reservoir – mile 2.0. ~Continue down hill (porta potty on right). Continue straight to the river(bridge) – mile 2.6.
the dry creek that opens back up onto Craggs Road – mile 3.1. ~Coming out of the dry creek, stay on the main trail, past the MASH site, to the bottom of Bulldog Motorway (mile 3.4). Turn LEFT on Bulldog Motorway, go up hill. ~At the junction of Bulldog Lateral (approx. mile 4.4), bear LEFT, and continue up hill. ~Follow Bulldog Motorway to the top of Castro Crest – mile 7.1. ~Turn LEFT at the top of Bulldog Motorway and proceed down to Corral Canyon – mile 7.9 - Go through the locked fire gate, down to the parking lot. ~Leave Corral Canyon via Backbone Trail (aka Mesa Peak Motorway) to the southwest (to the left of the fire road straight in front of you). This trail goes up and over some very big rock formations. It soon opens up onto an unmaintained fire road (Mesa Peak Motorway). ~Continue along Mesa Peak Motorway (bear LEFT at Puerco Canyon fire road) all the way into Tapia Park (mile 13.9) - Water and toilets available at Tapia (water in the sink in bathroom). NOTE: Do not turn right on Puerco Canyon fire road. ~From the Tapia toilet, follow the trail LEFT; the trail immediately turns RIGHT and heads down to the paved service road. Cross the road and take the trail by the chain link fence down to the creek. ~Cross the creek and follow the trail up to the Tapia picnic area; follow the trail left along the parking lot and through the fire gate – mile 14.2. ~Continue on the dirt fire road to Spur Trail (mile 14.5). Cross over the paved driveway to pick up Spur Trail. ~Follow Spur Trail up and over the mountain and down the other side into Malibu Creek State Park – mile 15.5. ~Leave Spur Trail by running through the dirt parking lot and turn RIGHT and proceed along gravel road. ~Turn LEFT at the pavement (mile 15.9) and proceed to the locked fire gate at the river crossing (Craggs Road – mile 16.1. ~Continue on pavement past the Craggs Road fire gate to the ranger kiosk at park entrance – mile 16.4. ~Turn left on Las Virgenes Road to corner of Mulholland Highway.